This is what 1676 cheeses look like set-up for nibbling. 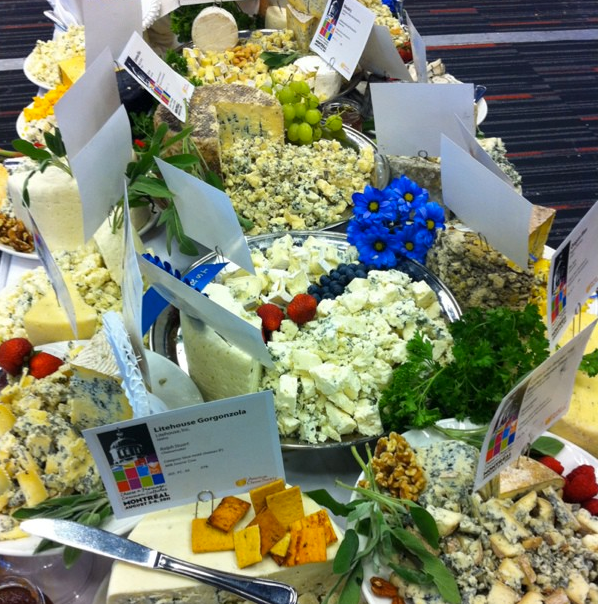 The Festival of Cheese which is also open to the public concludes the events at the ACS conference. I was lucky enough to get a peek while the room was being set-up. This is only one side of a giant conference room. It smelled pretty amazing in there. Fresh, milky and rich. Cheese land. And the roller coaster was awesome. Here are a few more images of the room to make you wish you were there. This is the soft, bloomy-rind table underway. Some of the really rich yellow ones were made with Jersey milk. 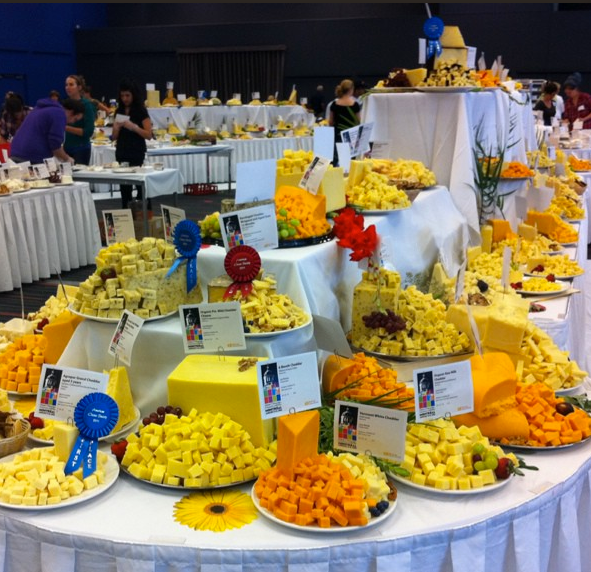 Comfort Cream from Upper Canada Cheese Company is in there–it won a ribbon. Ontario also had winners from Glengarry Fine Cheese (Aged Lankaaster), Monforte (Abondance) and Best Baa Dairy for their yogurt (a no-brainer, especially if you’ve had the maple flavoured one!) and Mouton Rouge, a washed-rind wheel. Here is the part of the blue table. 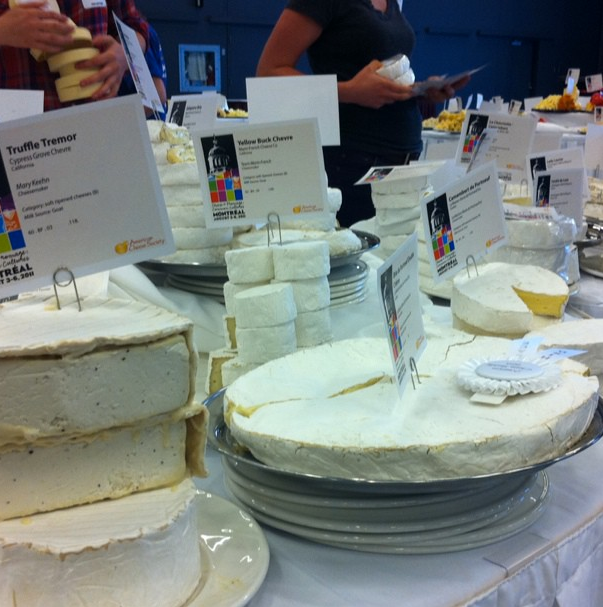 One of the Quebec winners was one of my absolute faves–the sheep’s milk Bleu Moutonnière . YUM. YUM. YUM. La Moutonnière (5) Fritz Kaizer (3) Maison d’affinage Maurice Dufour (2) and of cour La Presbytere whose Louis D’Or took third prize for Best in show. 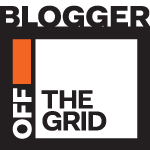 Cheesed out yet? Someone get me a green salad. Hi Sue — isn’t that cheese festival just gob-smacking!? I would have loved to have been there this year. I guess you and Lydia didn’t have a chance to meet, but not surprising since there is so much to do, learn and see! Yes, I felt I had nary a moment to do anything else. I wish I had been able to say Hi to Lydia, I just bumped into people more or less randomly! It was my first time and I’m so glad I went. BTW, am loving the Partyclette for the picnic aspects. Works so well!